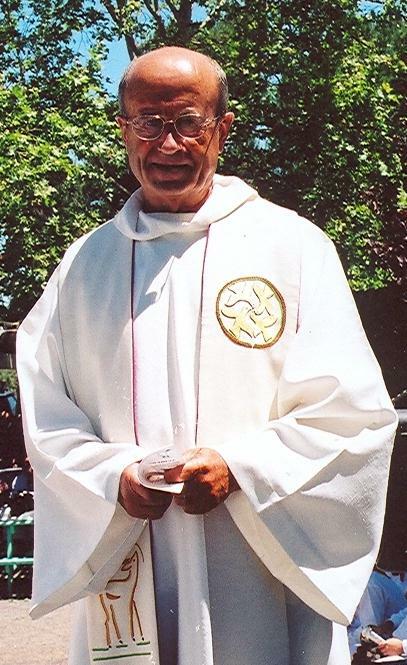 Aita Martxel Tillous served as a Roman Catholic Basque Priest for the Basque Catholics in the greater western United States from 1994-2008. He died in the Basque Country on March 31st, 2009. Aita Martxel Tillous was born in 1934 in the Basque town of Eskiula in Xiberoa. Following his calling, he entered the priesthood and began work as a missionary for 26 years in Africa (Ivory Coast). 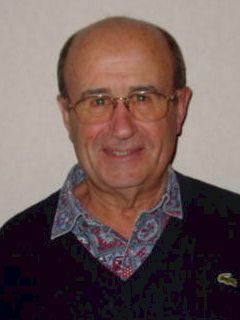 Returning to Europe he served four years as the Basque chaplain for the Basque community of Paris. He came to the United States to serve as chaplain of Basque-Americans in 1994. Aita Martxel is continuing in the footsteps of earlier Basque chaplains, and he continues to fulfill an important role in our Basque-American community. His ministry as chaplain to the Basques of the United States has him criss-crossing the country averaging 60,000 miles a year! He spends 200 nights a year sleeping in his van—with the license plate “Pottoka”—as he travels from his base in San Francisco, California to the scattered Basque communities of eleven states of the American West. His purpose is to serve the spiritual needs of Basque-Americans: celebrating mass in the Basque language, baptizing, marrying Basque couples and consoling the bereaved at funerals. Our chaplain from Xiberoa is being recognized for both his spiritual and cultural contributions. An avid txistulari, Aita Martxel is often seen and heard playing this ancient Basque flute, or its variation the xirula. For the last several years he has served as the txistu instructor at NABOs annual Udaleku (Basque Cultural Summer Camp) for youth. After a Basque picnic meal, he is always ready to join in a Basque sing-along. He also produces a newsletter, “Lokarria”, that goes out to thousands of Basque-American families thereby bringing our community closer together. Aita Martxel died on March 31st, 2009 in the Basque Country.